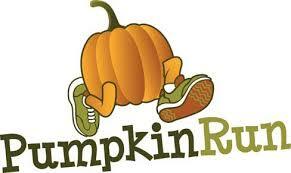 Come out and join us for our next race in our TriCycle and Run FREE 5K Series on Saturday, October 20 at 9:00am. This timed event will begin promptly at 9:00am. We will have a brief race meeting at 8:45am in the front parking lot of the shop, then move over the start line for the race as a group. We ask that participants plan to park at St. Michaels Elementary School then make the short walk down to the shop for the start of the race. On-site registration and bib pickup will begin at 8:00am, and we encourage everyone to try and arrive no later than 8:30am. The course utilizes most of the St. Michaels Nature Trail making the race ideal for participants of all ages and abilities. Strollers as well as four-legged friends are always welcome. As usual, this event is designed to be FUN!! As such, this is a prediction race….meaning that just because you cross the finish line first, doesn’t necessarily mean that you are the race winner. You will need to guess your finish time by the closest margin to be declared a race winner! Anyone within 10 seconds of their official time will be declared a race winner! We can’t wait to see you all in a couple weeks!